Drying a dog by hand can be a time consuming and labourious process both for you and your dog. Fortunately, there are many types of specially designed dog hair dryers that can make this task much faster and easier. In this article we will give you all the information you need to understand the differences between human and dog dryers, the benefits of using one, what to look for in a good dryer, the different types of dog dryers and finally provide some reviews and recommendations of what we think are the best dyers on the market. Our best choice award for a dog hair dryer goes to The Flying One Dog Hair Dryer. It has excellent airflow and air volume, adjustable temperature settings and has a well built sturdy and durable design. You can read our extended review here. As there are a few different types of dryers designed for specific needs, we recommend you read through the article first so you have all the information you need to make the best choice possible before you make a purchase. How Do Dog Hair Dryers Work? What Types Of Dog Hair Dryers Are There? As dog owners, we want to give our dogs the best love and care that they deserve. 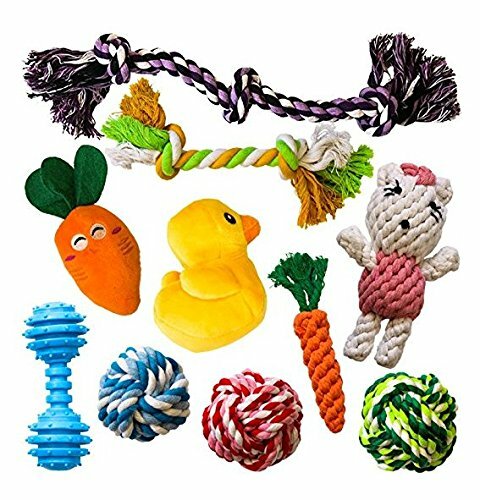 We give them lots of treats, always make sure to pet them throughout the day and make sure they have all the toys they could ever want. But are you making sure they are groomed correctly? Some people prefer to let the groomers do the hard work when it comes to bathing, brushing and drying their dogs. Overtimes though, this can become expensive. Others may want to take a more hands-on approach by grooming their own dog at home, but to do this you need to have the right equipment. Regular grooming helps to keep your dog healthy and looking their best and having the tools to do that helps a lot. One of the most important things you need when grooming is a dog hair dryer, but not all hair dryers are the same. There are different ones for different breeds and various hair lengths. Not to mention there are some that are more professional than others. Read on to find out what hair dryer you need for grooming your dog. Many will think that there is no difference between a hair dryer for a human and one for a dog. However, they are wrong. A professional groomer would never use a human hair dryer on dogs and neither should you. There are a few differences between them, even though they may look the same in appearance and shape, so don’t let that fool you. One of the main differences has to do with the heat of the dryer. Human hair is able to handle the heat that a regular hair dryer produces, and it won’t dry out their scalp. We often know when the heat is too much for us, but dogs don’t have to ability to tell who’s grooming them the same thing. Dog dryers, on the other hand, need to have lower heat settings so as not to dry or burn the dog’s skin. In fact, many dog hair dryers will produce no heat at all and simply blast cool or room temperature air to dry the water. Some dogs need to be slightly damp and left to dry on their own to stop hair from shedding as much for breeds such as Collies and long-haired dogs. All this plays a factor in choosing the right hair dryer. Have you ever been sat in the hair salon and realised you can’t hear your hairdresser over the noise of the hair dryer? This is another reason that human hair dryers shouldn’t be used on dogs. Some dogs are scared of sudden and loud noises, making them likely to become anxious and scared. Dog hair dryers are quieter than a normal hair dryer to stop this from happening. It makes the experience much easier both on you and your dog as they will be more relaxed and less likely to try to run away all the time. 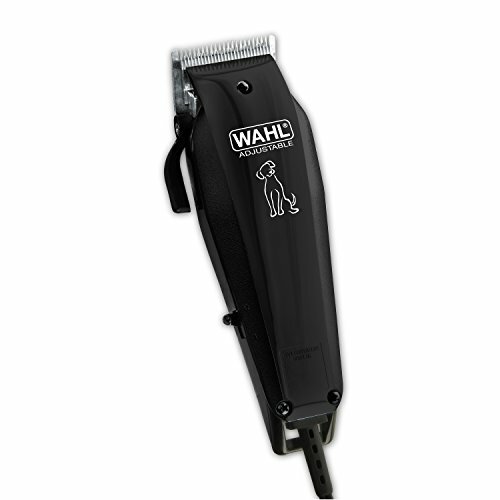 One of the main reasons that people would want to have a dog hair dryer is to save on time. Drying your dog using a towel or just allowing their fur to air dry could take hours. Not to mention it can be uncomfortable for your dog to be damp and wet for long periods of time. A dog hair dryer helps to shorten the time spent drying, which is especially beneficial for dogs with long coats. Apart from saving on time, a dog hair dryer will also allow you to get the right look for your dog. Not every dog will be styled in the same way. For example, a dog that has a curly coat will need drying differently compared to one that has a straight coat. 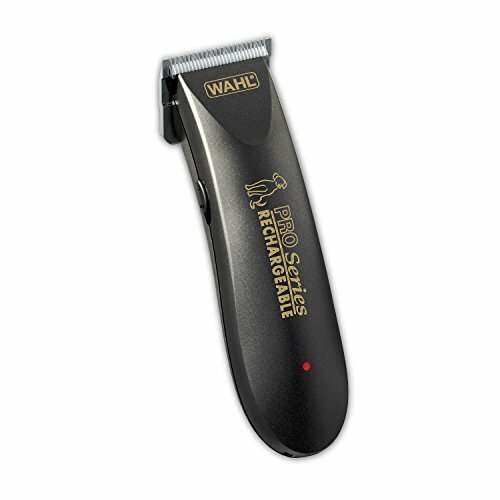 It is also important to remember that you’ll want a hair dryer that is easy to use with a comb or brush. As mentioned above, a dog dryer will not endanger your dog’s skin hydration as long as there is no heat element involved. There is nothing worse than them having skin irritations that result in flaky skin and rashes from not using the correct dryer on their fur. It is important to know about the hair dryer you want to buy before diving into a purchase. All dog hair dryers have little differences between them and it is the reason why most groomers have multiple dryers. But how do dog hair dryers work? Airflow is extremely important in a dryer. A certain amount of air will be blown out and is measured in cubic feet per minute (CMF). It measures how much air is being pushed out in a certain amount of time, such as a minute. The more airflow there is, the quicker a dog’s fur will dry, and it is critical in removing moisture. Something else that is important in making a hair dryer work efficiently is the velocity. This is to do with the air pressure, and the higher the velocity, the quicker you will be able to dry your dog. The velocity is measured in feet per minute (FPM) and works together with the CMF to create a quality dog hair dryer. Some hair dryers will also have an auxiliary heater that heats the air, so it is slightly higher than room temperature. It will never be excessively warm as most professionals advise against this, so your dog does not overheat. There are many different types and brands of dog hair dryers to choose from and it can be difficult to know which one is best. There is a lot of information to search through and it helps to know what you want to use the hair dryer for. 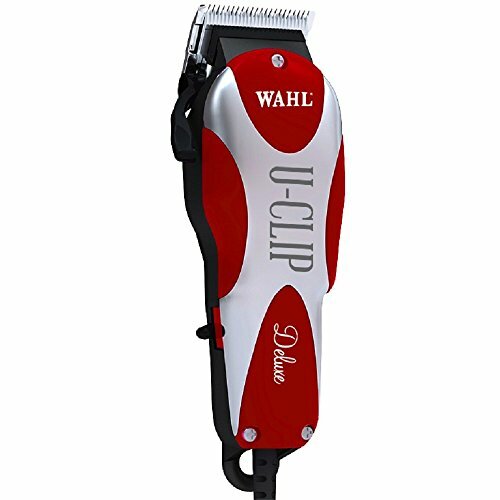 Whether you want one for a grooming salon or just to use at home, there is something for you on the market. The air volume or air flow is important when it comes to choosing a dog hair dryer. The higher the air volume is, the more powerful the dryer will be. This is more important when it comes to drying dogs that have a lot of hair or fur, which will take longer to dry. Instead of standing for hours trying to dry them, a dryer with good air volume can slash that time in half. While the air pressure doesn’t dry the dog’s hair, it does force the water off them. Compared to humans, dog’s naturally have high body temperatures, so using a hair dryer with a lot of heat isn’t a good idea. It will cause their coat to dry out quickly and cause the skin to flake. Most dog dryers on the market won’t have an auxiliary heating element to protect the sensitive nature of their undercoat and skin. Naturally, the air will be slightly warm, but you should never use a dryer with a heater as it isn’t safe. Always keep that in mind when buying a hair dryer for your dog. Whether you are a groomer or own multiple dogs, not every dog will need to be dried in the same way. Depending on their breed and hair length, you will need to buy a hair dryer that has variable speed settings. 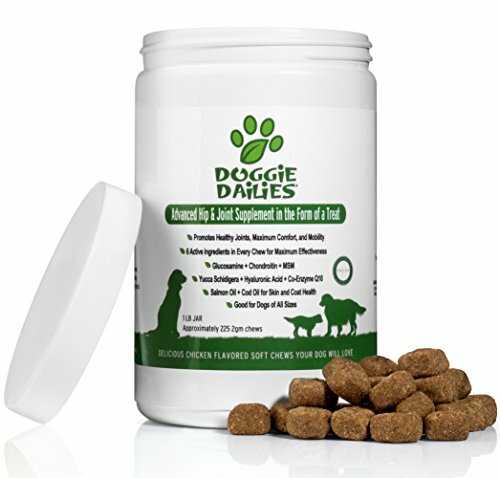 For dogs that are small and sensitive, you will be able to use a slower speed on them to dry their fur. For a dog with lots of long, thick fur, you can use the highest setting to dry them quickly. The benefit of having a dyer that allows you to change the speed means you can alter the noise level. Fast dryers are very noisy, which isn’t something that all dogs enjoy. A dryer with a variable speed setting will also allow you to tone it down on the sensitive areas of your dog. The more power that the hair dryer has, the higher the pressure will be. There are some benefits to having more pressure from the hair dryer you choose, such as being able to dry your dog quicker. Some dogs can be very fussy and like to squirm when being groomed. A dryer that works quickly will make it easier for you as well as them. However, some dogs may not enjoy the feeling of the high pressure. If you choose a dryer that allows you to change the speed, it will also change the pressure of the air flow that is produced. Some dog hair dryers can alter the temperature of the room when used, often making it warmer. This can be dangerous for dogs as they already have a high body temperature, so you don’t want to choose a dryer that will cause humidity. Not only that, but the humidity makes it harder for hair dryers to work well. You need to make sure there is plenty of ventilation when the dryer is being used, as well as storing the dryer in dry conditions. Now that you know what to look for when purchasing a hair dryer for your dog, you need to know about the different types of hair dryers. Not all of them will have the same features and depending on your dog, some will be better than others. The type of dryer will also determine how expensive they are, with some being more suitable for home use and others working well in the groomers. Some dryers have a stand and are hands-free, leaving you with the option to use brushes with both hands. The standing variants can also be versatile as they are easily moved, and then there are cage driers. These, in particular, are positioned next to cages and feature heat controls, timer controls and speed controls to suit the dog they are being used on. The benefit of this is that you can attend to other dogs and not have to worry about drying your dog. Low-Pressure Dog Dryer (Cage Dryer). If you are wanting to buy a dryer that isn’t too expensive and will get the job done, then a hand-held dog dryer is for you. These are very similar to the kind of hair dryers that humans use and work in near enough the same way. However, they are by no means the best for the job of grooming your dog. They have a low volume of around 10-18 CFM, as well as having low pressure and controls for the temperature and fan control. This sort of dryer will only be suitable for a small dog with thin hair as they aren’t very powerful. If you are looking to buy a hand-held dryer online, then you will most likely pay between $20 to $75 dollars. They aren’t great for groomers but would be perfect if you want to wash your dog at home instead, as long as you don’t mind drying them for a long time. A low-pressure dog dryer often refers to the typical ‘cage dryer’ that can be found at the groomers. The cage dryers consist of a large blower wheel that is placed next to the cage and will produce lots of airflow with a low pressure. They are made so the dog can be dried and left unattended in the cage. Some of these may come with an auxiliary heater and multiple controls that can be changed, but most professionals won’t recommend this. There is always the risk that the dog could overheat when the dryer is left on and nobody is nearby to monitor them. It is often advised that the heat controls always be switched off to keep the dog safe. As long as the cage dryer is set at a comfortable room temperature, you don’t need to buy a dryer that has heaters built into it. You don’t want your dog to develop dry skin either or to be put into a potentially dangerous position. Compared to the hand-held kind, these low-pressure dryers are usually expensive and are often the reason why groomers buy them. When you are grooming a dog with thick or long fur, you want to make sure that all the water is off their coat. High-pressure dog dryers, also known as ‘forced air’ dog dryers, are extremely efficient at removing all the water from both the outer and inner coat of a dog. It is extremely rare for these kinds to have auxiliary heaters built into them, so any high-pressure dryers that you are considering shouldn’t have one. The simple reason is that the dryer has a high velocity of air flow, which increases the pressure and removes the water from the coat easily. These dryers rely on the force of air to dry them and will often warm the air naturally without the need for a heater. However, while these kinds of dryers are great at drying dogs quickly, you have to be careful in their sensitive areas. This means that you shouldn’t blast the air into their ears, eyes or orifices as it will make them uncomfortable. It is also advised to be careful around dogs that are frail or are older due to their hearts and kidneys. The noise can be quite loud as well, which is something not every dog will enjoy. If you are looking to save time when grooming your dog, then the high-pressure dog dryer will be your best friend. After all, it is the fastest kind of dog dryer on the market. 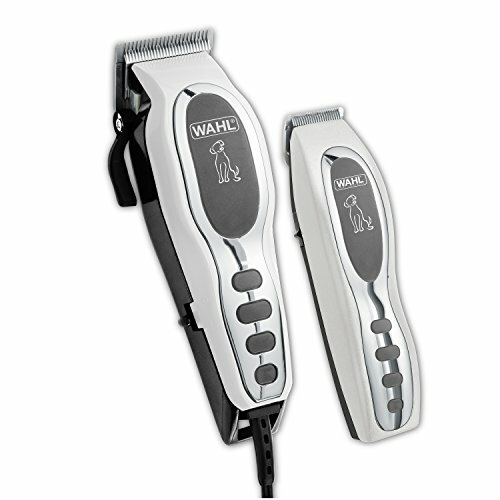 Many forced air dryers will also have controls that allow you to change the pressure and speed of the air, which allows you to modify it to suit the dog being groomed. This way you get a mixture of both low- and high-pressure dog dryers, but they will be more expensive, so keep that in mind. Once you understand what to look for in a hair dryer and the different types that are available, it will be much easier to decide which one is best suited to your dog. Groomers will have a mixture of dryers available, so they can pick which one suits their client, but regular people won’t have this choice. You want to choose a dryer that is within your budget and will work quickly and efficiently while keeping your dog comfortable. Our best choice award goes to The Flying One High Velocity Dog Hair Dryer. It has a high powered motor providing excellent air volume of 240 CFM and an airspeed of 2800 FPM (you can read about CFM and FPM if you missed it earlier in the article). These specs allow you to dry your dog in no time at all which is particularly useful if you are short on time or have a dog who does not enjoy being groomed. Reading through the reviews of this product from other customers one thing that stands out is the quality of the design. Its steel case provided a solid and durable construction that will last a long time and it remains stable when in use. It comes with 3 different heat settings (none, low and high) with a temperature range from 81F to 160F. Another great feature of this dryer is the 10-foot flexible hose that allows for excellent manoeuvrability around your dog. Due to it’s strong but simple construction it’s also easy to clean both the case and the filter and also comes in 3 different colors – green, pink and purple. This dryer is more expensive than a handheld dryer but due to its power and design, it will save you many hours of standing around waiting for your dog to dry properly. I would also consider a forced hair dryer like this one is you have a large dog, several dogs or a dog with a thick or long coat. The Flying One High Velocity Dog Hair Dryer has an excellent Amazon rating of 4.6 out of 5 stars and you can read the reviews for yourself here. 2 nozzles types and filter. Easy to clean casing and filter. For those on a budget, the Andis Gentle Dry Dog Hair Dryer is a good choice. It has a stylish and sturdy ceramic design making it portable and easy to store. It has a “quiet” setting that allows for the same pressure as comparable dryers but with much less noise which is a great feature if your dog gets anxious while being groomed. It comes with a removable intake filter allowing you to easily clean the dryer when necessary. 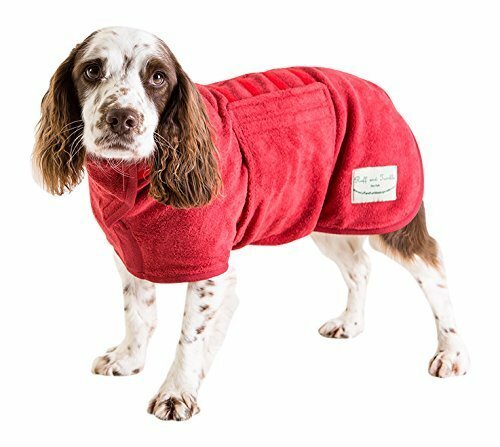 It also has 2 heat settings and 2 airflow settings making it suitable for different breeds of dogs with different kinds of coats. However, as noted earlier in the article you should check the higher heat setting is not too hot for your dog. This product has a 4.2 out of 5 star rating on Amazon and you can read the reviews from other customers here. This dryer is a good choice if you are on a budget or you need to dry your dog when away from your home so need something that is easy to transport and store. The Free Paws Dog Hair Dryer gets a mention in our best dryers due to its superior airspeed. 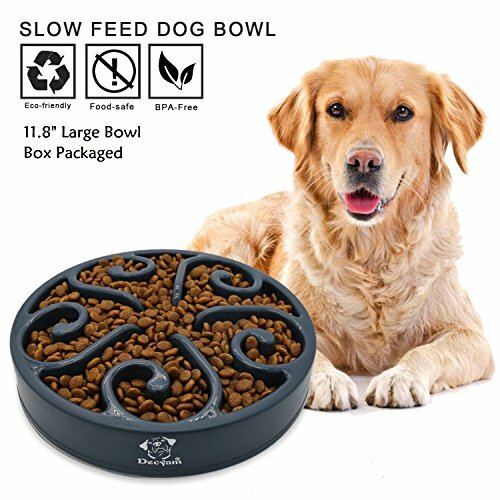 Although it has a higher airspeed than the Flying One dryer it has a reduced air volume and this will mean it will take slightly longer to dry your dog and this is reflected in the lower price of this product. However, this is still a quality dryer and comes with some nice features that the Flying One does not have. For example, this dryer comes with a specially designed comb nozzle with 21 holes allowing you to comb and dry at the same time. This dryer has excellent adjustable airflow ranging from 4921 FPM to 11023FPM which is the highest of the dryers recommended in this article. 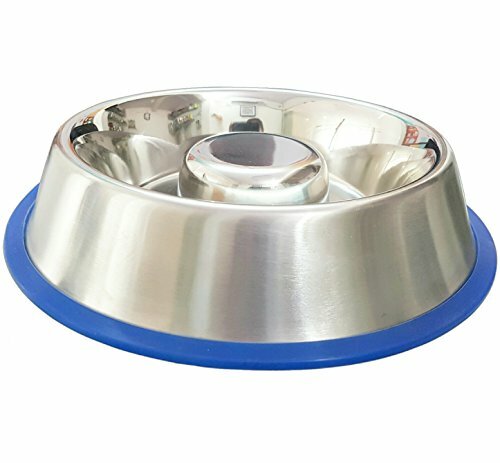 This range allows this dryer to be used on small and large dogs as well as cats. It also has good adjustable air volume ranging from 92 CPM to 113 CPM which as mentioned before is a bit lower than the Flying One Forced dryer. It comes with 3 temperature settings (none, low, high) ranging from room temperature to 122F. As always, make sure to check that the higher heat setting is not uncomfortable for your dog. The dryer comes with some extra nozzles including the comb nozzle, a 7 finger nozzle, a wide slot nozzle and a cylindrical nozzle. Drying time for a small dog should be around 5 to 10 minutes and for larger dogs up to 30 mintues. Shih Tzu/Poodle – 5-10 minutes. The Free Paws Dryer has a 4.4 out of 5 star rating on Amazon and you can read the reviews for yourself here. Adjustable airflow speed (suitable for large and small dogs). The XPOWER Cage Dryer has a 4.3 out of 5 star rating on Amazon and you read the reviews from other customers here. Heat free airflow (allows for unattended dogs). 3 hoses (dry up to 3 dogs at once). Durable, lightweight and quiet motor. Lockable adaptor on the hose. For more details and specifications for this product, you can visit the manufacturer’s webpage for the XPOWER Dog Dryer.